In September 2017, our school established a new green schools committee, which consists of students from various years. Since then we are working hard to maintain our Litter and waste flag and at the same time we are planning and implementing various different activities to help us achieve our second green flag for Energy. To maintain our Litter and waste flag we are promoting recycling throughout the school and maintaining our weekly litter-picking schedule on Thursdays to keep both the front and back of the school clean and litter free. Invite Gavin Harte to our school – Pedal for Energy Day of Action - a workshop specifically designed to build awareness of energy with the hope of building an energy saving behaviour in our school. 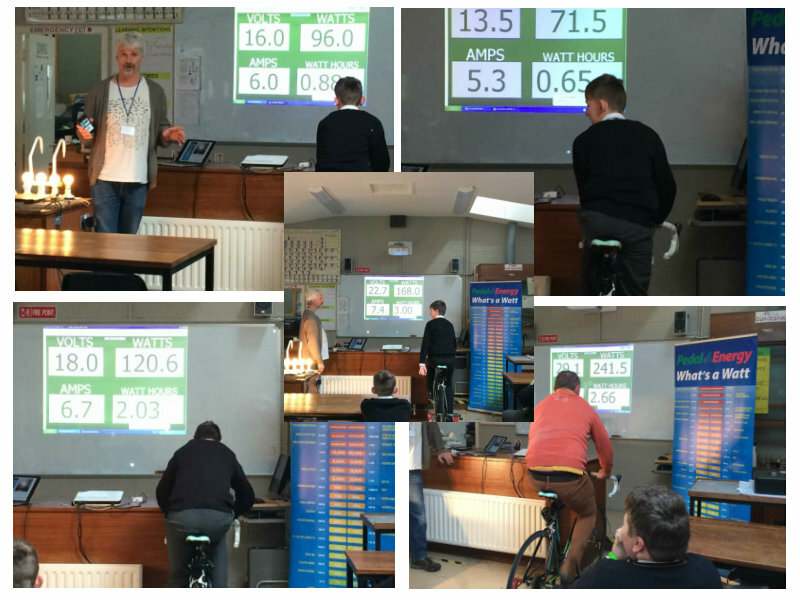 ‘What’s a watt’ presentation – students will get active in this energy awareness tool that monitors the energy created by a stationary cyclist allowing students to view every day energy demands. Invite Angela Wall, Environmental officer, to our school to monitor our progress. We completed a review of our litter and waste and were delighted to see that we have achieved over 50% reduction in our general waste, a 36% increase in recycling bins and have established a composting system that is working well. 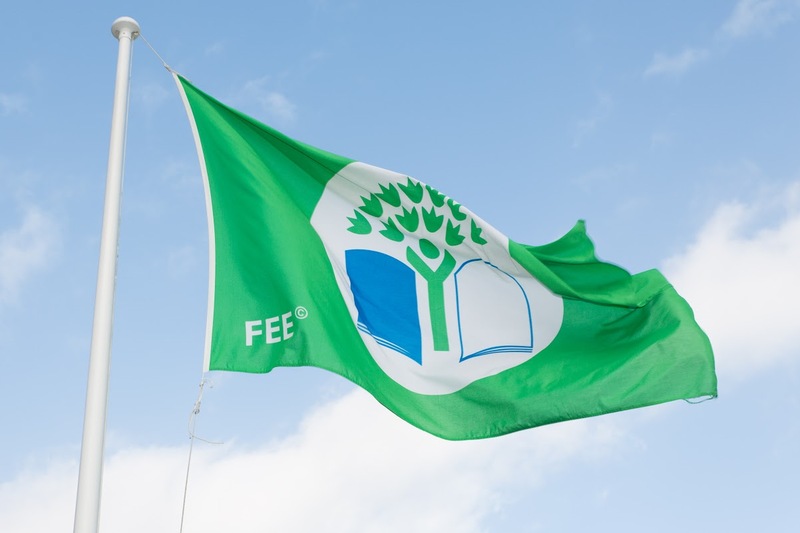 We are very proud to say that we were approved for our first Green school’s flag which was presented to us by an Taisce on the 26th of May 2015.